Learn more about how to add personalized product recommendations in your transactional emails to increase sales. 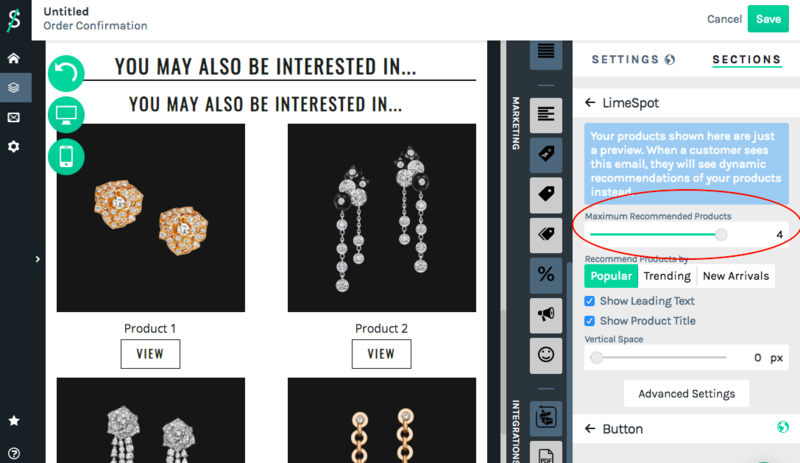 You can now add personalized product recommendations with LimeSpot's Personalizer to your transactional emails with Spently. Transactional emails happen when an action triggers an email to be send. For example, a purchase is made which results in an Order Confirmation email being sent. Now-a-days, transactional emails are the considered as the highest opened emails from customers! 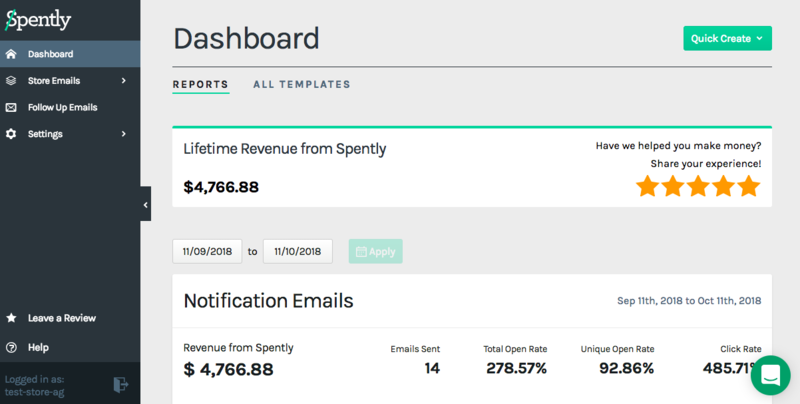 Make sure to have both LimeSpot Personalizer and Supercharged Store Emails by Spently installed before getting started. Note: Integration and all its value added features are Free. 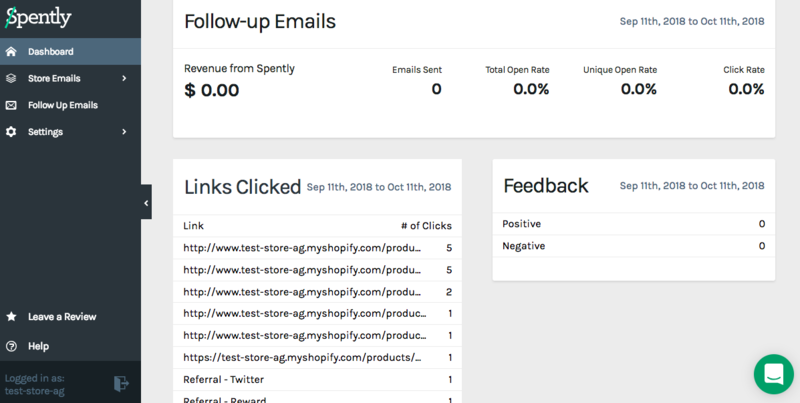 Access the Spently dashboard through your Shopify admin panel. Click on All Templates at the top and choose any template type on the left to get started. 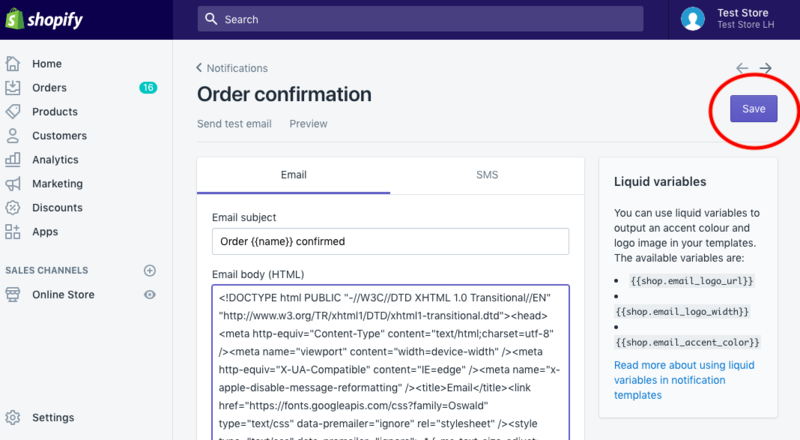 We will use the Order Confirmation template for demonstration purposes. Select the green button "Click here to make one" to begin. 3. 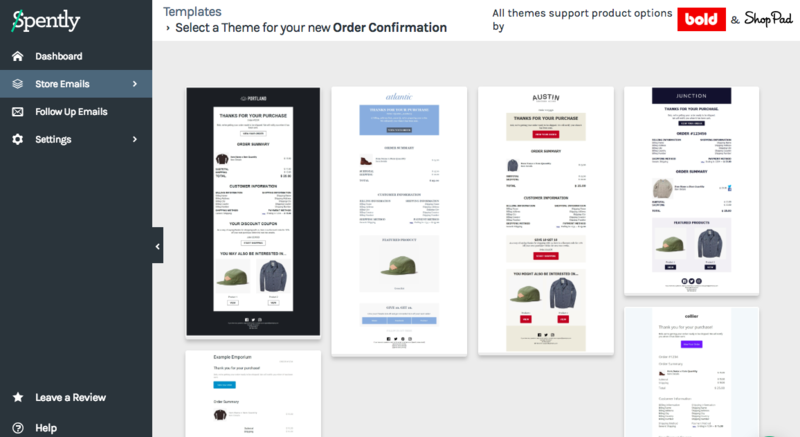 Select a theme for your new order confirmation template. 4. 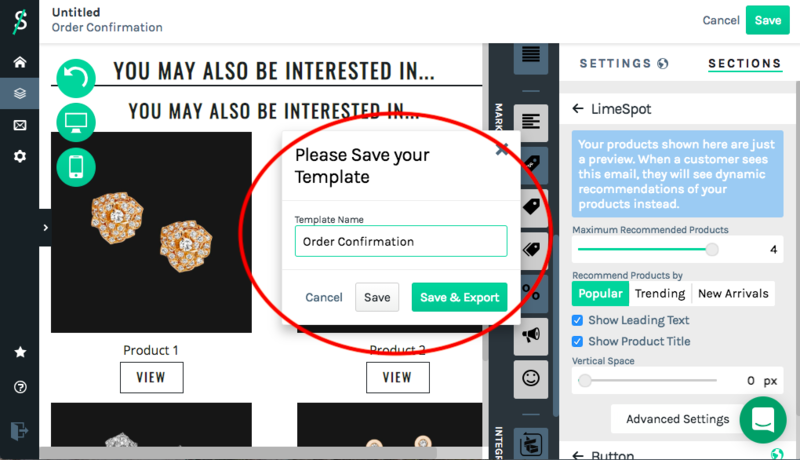 You will now be able to drag and drop our LimeSpot recommendation component onto the template. Scroll down to see the LimeSpot integration on the right hand side. Note: If you have the default product recommendations already on the template, you must remove these before adding the LimeSpot recommendations. In the settings on the right hand side, you can choose from the Most Popular, Trending, or New Arrivals product recommendations. You can learn more about the differences between these boxes here. You can also choose to show a maximum of 4 recommended products. 5. Once you are done customizing, click Save in the top right hand corner. A pop-up will appear allowing you to name your template. Click Save & Export to proceed. 6. 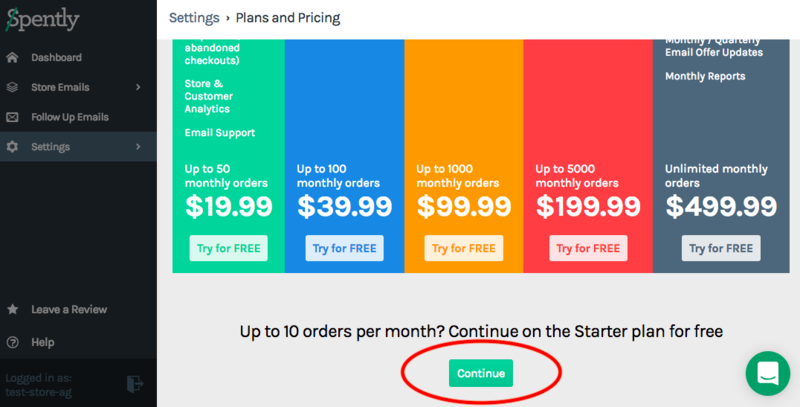 You will then be led to the Plans and Pricing page. Scroll all the way down and click the green button Continue. 7. Follow the instructions on the Export to Shopify page. 8. 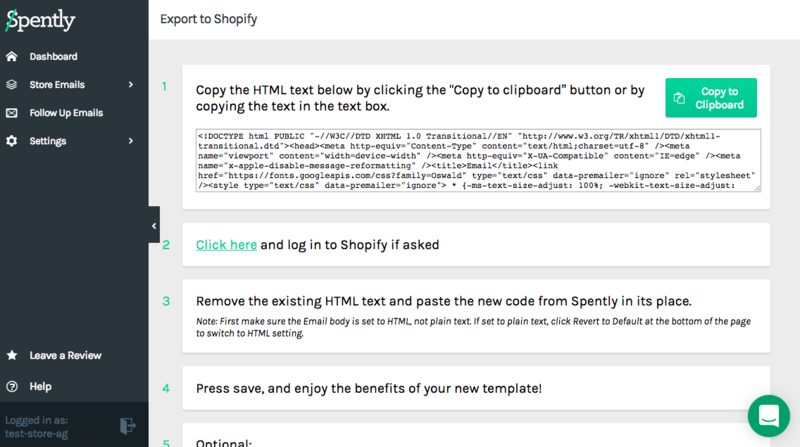 Once you have removed the existing HTML text and replaced it with the new code from Spently, click the Save button to successfully complete your new template. 9. 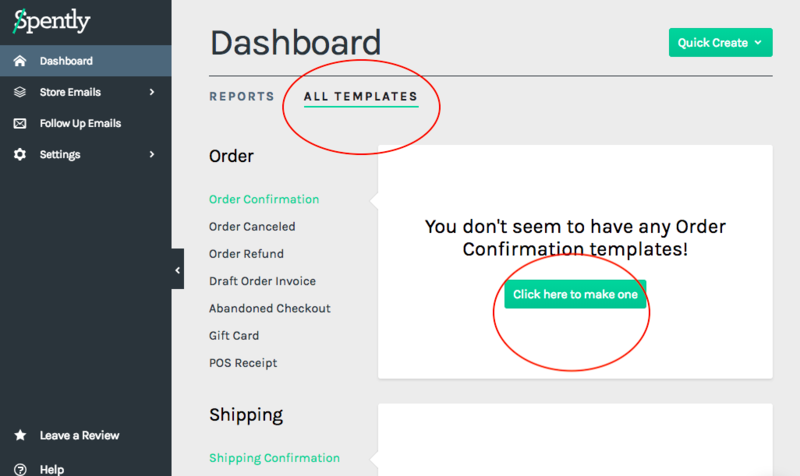 When a customer purchases something from your store, they will now receive the new Order Confirmation template by Spently instead of the default Shopify one. 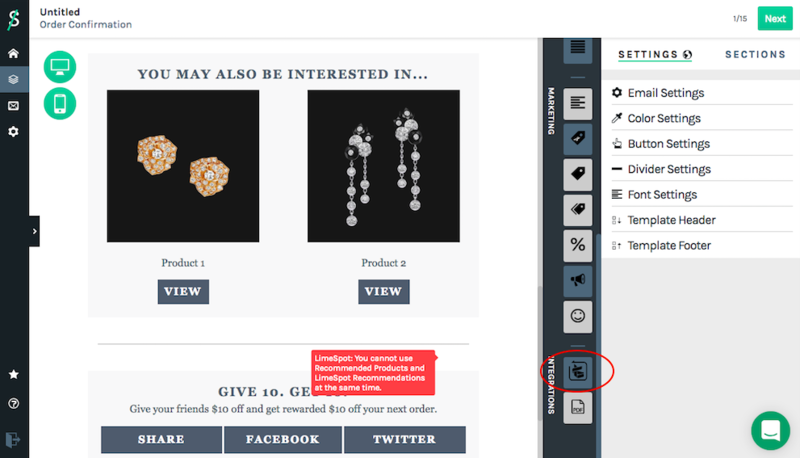 This transactional email will include personalized product recommendations from LimeSpot Personalizer. 10. 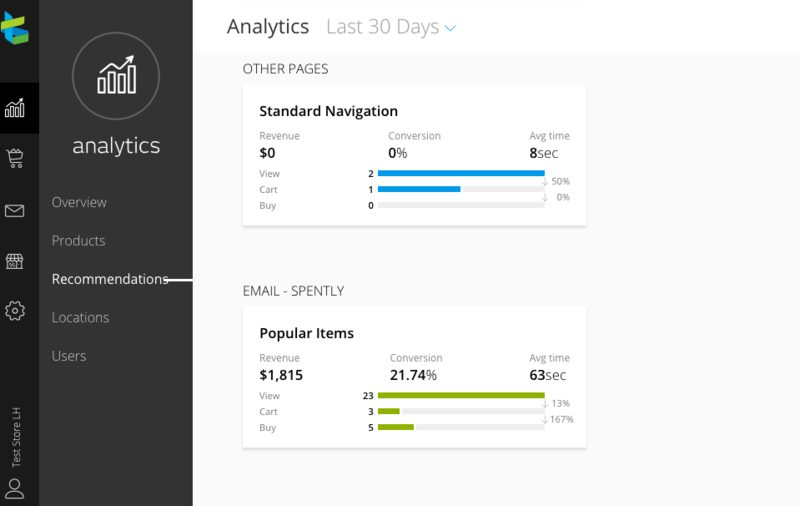 You can check out the analytics through both the Spently dashboard and LimeSpot dashboard. Go to LimeSpot Admin Panel > Analytics > Recommendations. At the bottom of the page you will see EMAIL - SPENTLY for any purchases made. If you run into any issues regarding the integration, please contact the LimeSpot team for help.